For Drop In Dance Classes! 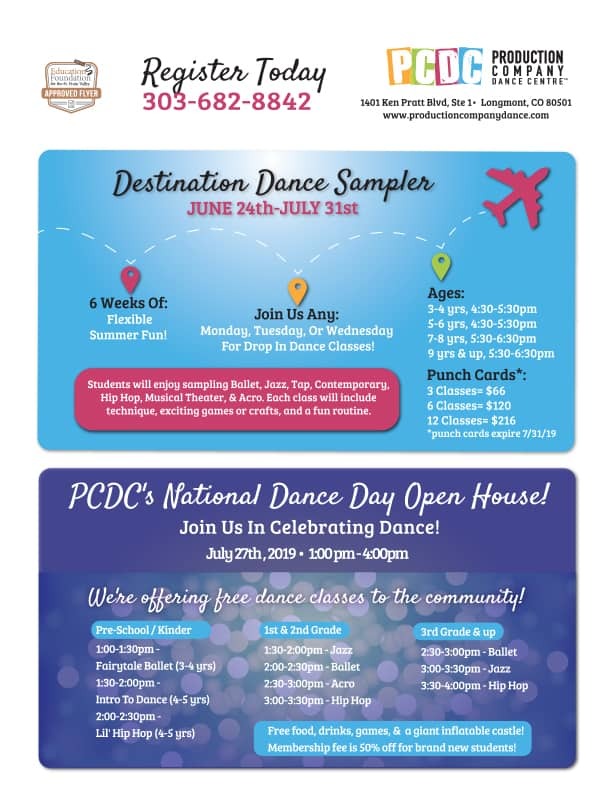 Students will enjoy sampling Ballet, Jazz, Tap, Contemporary, Hip Hop, Musical Theater, & Acro. Each class will include technique, exciting games or crafts, and a fun routine.